Alaska might not be as popular place for retirement as Florida is, but that doesn’t mean that the state doesn’t have anything to offer its prospective senior and other residents. The state might come off as bit cold for some people, but those that don’t mind a bit of chilly weather can feel quite comfortable here. Alaska is widely famous for being a tax haven since it doesn’t have income or sales tax, nor does it tax pensions and Social Security income. The crime has a low rate as well, at least outside of the bigger cities. Last, but not least, Alaska has certainly deserved the nickname “The Last Frontier”, as outdoorsy people will be glad to find out that there are lots of sights for exploration in the state, packed to the brink with gorgeous rivers, lakes, and great variation of wildlife. If you’re considering Alaska for retirement, you must want to find out more about the senior living costs, facilities, and benefits that await you once you get there. Worry not, as we have collected the most important information regarding the senior living options present in Alaska, be it independent living facilities or assisted care and its variations. We also have information on the various support systems that have been put in place in these facilities, including the amenities that they have to offer. By using our list below, you can also find the closest senior living provider for the cities in Alaska you might be interested in. Due to its location, Alaska is considered to be a rather costly state to retire to, when compared with other states in the nation. Because of it’s distance, the food that arrives here has to come from afar, and the cost for utilities isn’t cheap, either. Because of the constant cold weather in Alaska, the central heating is always on in people’s homes. Because of that, the electricity bill is higher as well. All of these factors contribute to the high cost of living in Alaska, and it’s 34% more expensive to live in this state than the rest of the nation. The costs for utilities are about 50% more expensive than some other states in the U.S. So are food costs, meaning you’ll have to spend approximately 37% more money on food expenses as well. This doesn’t mean there aren’t any affordable places to retire to in Alaska. One such place is Fairbanks, because it’s not located in a rural area, meaning goods and such won’t have to travel as far as to some other locations in Alaska, making this city more affordable than most cities in the state. But that’s all talk, so let’s take a look at some numbers and find out more about the senior living costs in Alaska. Home healthcare has an average monthly cost of around $5,000, and adult daycare averages out at $3,642 per month. To give you a better idea about how Alaska compares to other states in the nation, most of them have an average monthly cost range from $2,500 to $4,000. Nursing care in Alaska is also rather costly, and the average monthly cost for this type of senior care is $24,333, compared to the average monthly cost in most of the other states in the nation that rarely goes over $10,000. It is important to point out that if you need a higher degree of medical attention, you are highly advised to choose a city that doesn’t require you to travel long to the closest hospital in case an emergency comes up. Most of the remote areas in Alaska are a bit far from hospitals. Don’t worry though, as there are still some hospitals across Anchorage that work ‘round the clock so as to provide seniors with medical assistance when the need comes up. Fairbanks and Juneau are other cities that have hospitals nearby. However, seniors residing in remote areas will have to travel by a small plane for hours on end in order to get to a good hospital. Higher costs aside, this method of obtaining medical attention is rather problematic and time-consuming, and especially so in case of an emergency. While the overall cost of living in Alaska is certainly higher than other states in the nation, the low taxes and annual state stipends (from $1,000 to $2,000 per permanent resident) alleviate some of the costs. An U.S. news & World Report placed Alaska in the top places to retire to, as far as taxes are concerned. Before you decide to retire to Alaska, you ought to get more informed about the benefits that this state has to offer for its prospective residents. Below, you can read more about each of those. If the cold weather doesn’t scare you off, retirement in Alaska can be quite enjoyable. Residents of Alaska are warm and polite, which will make it easier for seniors to socialize and make new friends. The friendly neighbors and social life are an important aspect of retiring in Alaska. Since there aren’t many shopping venues in Alaska, people residing in this state have mainly focused on building strong relationships with their friends and families. As a result, they don’t spend much time on consumerism, meaning seniors will have a great time spending their golden years here. There are lots of things and places to see and visit in Alaska. Outdoorsy people will fall in love with the natural beauty that can be found in this state. Alaska is home to over 3 million lakes and 3,000 rivers, which means that seniors that love fishing will never run out of places to visit. Those interested in wildlife will be able to see animals that can’t be seen anywhere else, like polar bears, grizzly bears, and humpback whales. There are also lots of gorgeous national parks in Alaska. One such park is Denali National Park, located in between Anchorage and Fairbanks, and it’s one of the most popular and largest national park in the whole nation. It surrounds North America’s highest mountain. It has six million acres of wide river valleys, high alpine ranges filled with elk, reindeer, grizzly bears, wolves, as well as various bird species, and much more. National parks aside, there are many scenic walking trails in Alaska. Campbell Creek Greenbelt is a scenic walking trail that’s located in Anchorage, and it leads up to a lake that have gorgeous scenery and wide range of wildlife. Another sought-after wildlife location in Alaska is Wedgewood Wildlife Sanctuary, located in Fairbanks. People that have visited this place have praised the nice and pleasant walks they had, which is a great news for seniors that like going out and stretch their legs while enjoying the beautiful views. These trails are also accessible by wheelchair – another great news for people that want to sightsee but can’t walk. If you would rather visit some museums than going in the outdoors, the Anchorage Museum is a well-known museum. In this place, people can learn many things about art, history, ecology, science, and ethnography – all of that in a modern building located in the center of Anchorage, Alaska. Car lovers will also appreciate the Fountainhead Antique Auto Museum that has an impressive collection of rare antique cars. If you’re not too big on taxes, you’ll love it in Alaska. Apart from not having any taxes on sales and income, the state doesn’t tax pensions or Social Security income as well. As a matter of fact, the state pays its permanent residents for living there. This is done by the Alaska Permanent Fund which pays back a fraction of royalties from oil and mineral proceeds that have been earned to residents of Alaska. The amount that is being paid back varies, depending on the condition of the fund but every person that lives in the state receives a check every year, ranging anywhere from $1,000 to $2,000. Do keep in mind that while having tax breaks might be nice, it comes with its own cost. Because of its remoteness from the rest of the nation, the cost of living in Alaska is higher than the national average. Utility costs are 50% higher than the national average, and food expenses are 37% higher as well. This is because food and other goods must be shipped from afar, and utility lines are much harder to build and maintain. There is also a Senior Benefits Program in Alaska, and it provides seniors aged 65+ with cash benefits, if said seniors have a low to average income. The amount of cash benefits received each month depend on the senior’s income and can change as the poverty level in Alaska changes. In order to get these benefits, seniors aged 65+ have to be permanent residents of Alaska and have a Social Security number. Additionally, their countable income can’t exceed the income limits in order to get these cash benefits. There are some cities in Alaska that provide seniors aged 65+ with some other benefits like breaks on property taxes, sales tax exemptions, as well as a regional medical center that is perfect for seniors needing to get in and out of the hospital in an easy fashion. Regardless of the type of senior living option you might be interested in, be it independent living, assisted living, memory care, or nursing homecare, Alaska has lots to offer. 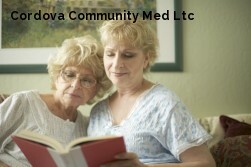 Keep reading in order to get better informed about each type of senior living and the amenities it has to offer. Seniors that have remained active and healthy even in their golden years and don’t need 24/7 care and supervision can find housing in some of the many independent living facilities available throughout Alaska. The average cost for these facilities can range from $22.50 to $29.50 per hour, averaging out at $26.50 per hour, no matter where the facility is located. Seniors living on remote locations won’t have to pay higher prices than the rest of the state neither, but it’s still more expensive than the rest of the nation. Those that require medical supervision will have to spend more, in addition to home healthcare costs. Retirees that would prefer to live in an apartment in Alaska should prepare themselves for higher expenses. Most senior apartment communities can be found in Anchorage, where the average monthly cost for one-bedroom apartments if $1,120, while two-bedroom apartments have an average monthly cost of $1,363. Costs aside, independent living facilities in Alaska are a great place for seniors to live in while surrounded by their peers. These facilities offer help with housekeeping, maintenance, daily tasks, and more. They also put a great effort into making sure their residents stay healthy and socialized through social and local activities. Even though it’s the biggest state in the U.S., Alaska has the least amount of assisted living facilities in the nation. Your best chances of finding an assisted living facility in Alaska are the largest cities like Anchorage, Fairbanks, and Juneau. While the chances for finding an assisted living facility are bigger, so are the costs associated with them. The average cost for assisted living facilities is approximately 45% higher than in the other states in the nation. For example, assisted living facilities in Fairbanks have an average monthly cost ranging from $4,311 to $8,050. The costs vary depending on the location of the facilities. 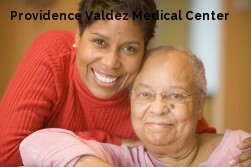 As we mentioned before, the largest concentration of assisted living facilities in Alaska is in Anchorage. An especially popular senior living provider is the Yosef Family Assisted Living Home, which provides caring senior housing. This type of senior living is most suitable for seniors that can’t perform their daily tasks on their own, like visiting shopping centers, healthcare facilities, pharmacies, churches. But worry not! -All of these are located nearby the facility. These facilities provide professional caregivers who help seniors with daily chores, personal care, making sure the residents have a satisfactory level of independence. There are 16 memory care centers operating in Alaska. The average annual cost for these centers is $95,700, while the costs can range anywhere from as low as $4,915 to as high as $10,975 per month. 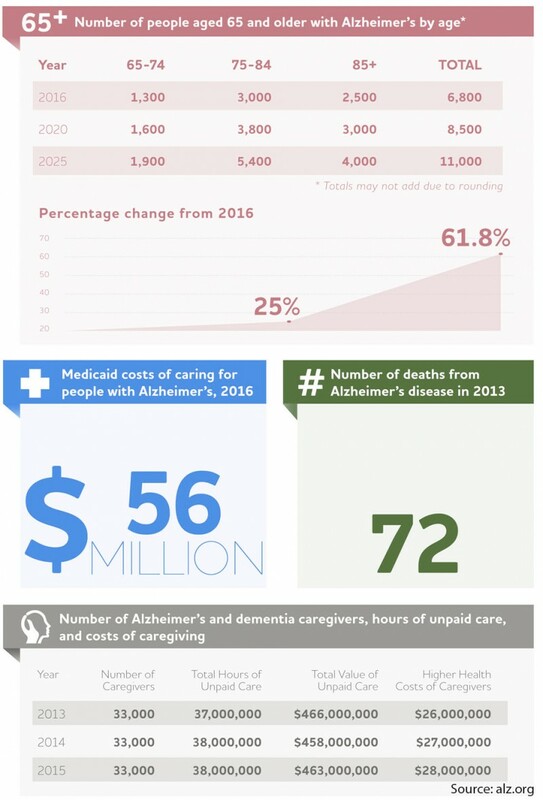 As it is with the other senior living options in Alaska, memory care centers have a higher average monthly cost of $5,075 – higher than the state in the rest of the country. The most expensive centers can be found in Fairbanks for the average monthly cost ranging from $7,031 to $13,200, while the average annual price is $141.075. the more affordable memory care centers are located in Anchorage for the average monthly costs ranging from $1,320 to $13,613, while the average annual price is $108,900. Jewel Lake Plaza is another memory care center that’s in the top 10 in the nation. It is located in an expensive, central area in Anchorage, and is within close range to whatever seniors might need in order to enjoy in their golden years, like shopping centers, hospitals, churches, healthcare facilities, and similar. These centers also provide housing for seniors afflicted with Alzheimer’s, dementia, and other dementia-related ailments. As we stated before, all senior living options have higher prices in Alaska than most other states in the nation, and nursing homes are not an exclusion to this. Semi-private rooms have an average annual cost of $232,505 that might vary depending on the location of the facility. As a general rule of thumb, nursing homes located in and around metropolitan areas will generally have higher costs. As far as Alaska’s nursing homes are concerned, the average monthly cost is $3,642. Adult daycare facilities operate towards keeping their residents busy with music therapy, art therapy, and much more. Seniors residing in these facilities will receive constant supervision for their safety, health monitoring, daily nutritional meals, and plenty of exercise and love. Elderly suffering from Alzheimer’s, dementia, strokes, PTSD, or brain tumor can make use of the help that these facilities have to offer. While the costs for adult daycare facilities in Alaska can vary, depending on their location, they average out at $3,642 per month. Seniors that have been diagnosed with terminal illness can find solace at one of the six hospices in Alaska, three of them located in Anchorage. The average annual cost for hospice care facilities is $55,080, with a monthly cost range from $3,330 to $6,000. While staying at hospice care facilities, seniors will be provided with all required medications so as to minimize pain and symptoms of the illness, including grief counseling for both the senior and his/her family. Hospice nursing homes work towards making their residents’ final years as comfortable and care-free as possible. Family members that act as primary caregivers for their loved elders can often feel too exhausted, or even frustrated. 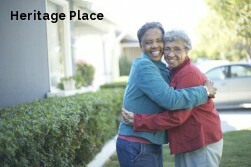 This is where respite care facilities come in. There are 10 respite care facilities in Alaska, and they provide short-term care for seniors. The average cost range for these facilities in Alaska is anywhere from $22,403 to $29,145 per month. Respite care facilities provide all the things nursing homecare services do, as well as three meals per day, help with housekeeping, laundry services, transport, social and local activities, personal care, administering medications, including ‘round the clock supervision and security. Seniors in need of ‘round the clock care and supervision, in addition to healthcare services should check out nursing homes in Alaska. These nursing homes provide professional healthcare assistance that are always ready to provide medical support, stroke care, pain management, therapies and rehabilitation, and much more. These facilities also have many activities that keep their residents’ minds busy, with social activities like arts and crafts. Assisted-living-facilities.net will help you to find the best quality Assisted Living facilities in Alaska. You can also find skilled nursing, memory care facilities, retirement communities and assisted living regulations in Alaska. Here you can compare ratings and check prices and costs for assisted living. Read reviews and more, with the best directory for Assisted Living Facilities. The state of Alaska has 24 assisted living facilities. If you're searching for information about assisted living communities in Alaska, you need to look no further! 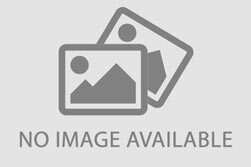 Assisted-living-facilities.net will provide you with the most comprehensive information about the number of 24 assisted living facilities for seniors that are currently available in Alaska. The assisted living services available in Alaska include in-home residential and assisted living situations, nursing homes, retirement communities, adult day care, and a range of independent living situations, you can also find Alzheimer's and hospice care. 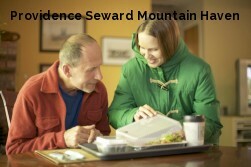 Searching in Assisted-living-facilities.net to find information about Alaska's assisted living communities is simple! You can use the site in these ways to search and find the assisted living facility or community that is the right one for your needs, and allows you or to your loved one, to live close to friends and family and to enjoy fully. Getting all the support of the amenities that Alaska has to offer. The average monthly starting costs for assisted living facilities in Alaska (higher for residents requiring memory care) starts and depends on the level of care the resident. The average monthly cost of assisted living in Alaska starts from $1,600 to $3,700.